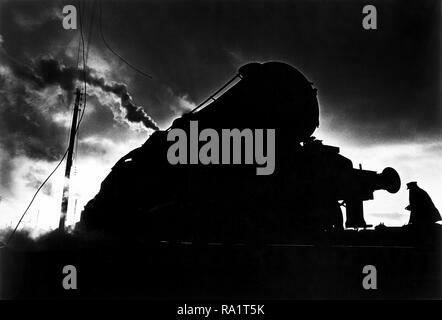 August 1968, the last month of steam railways in Britain. 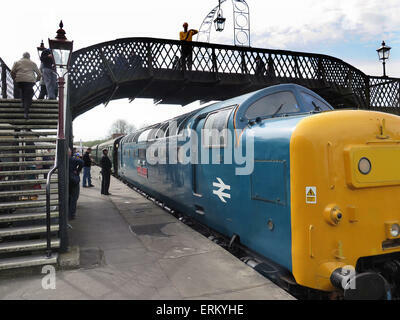 Carnforth, Lancashire, near Lancaster. 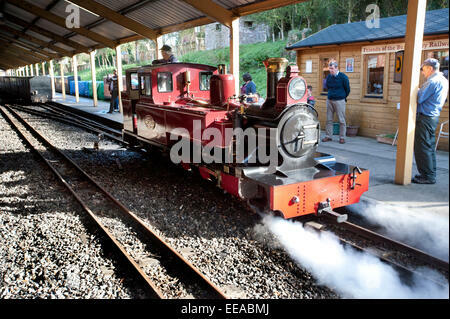 An engine driver walking up the tracks to begin a late turn, driving a night train. 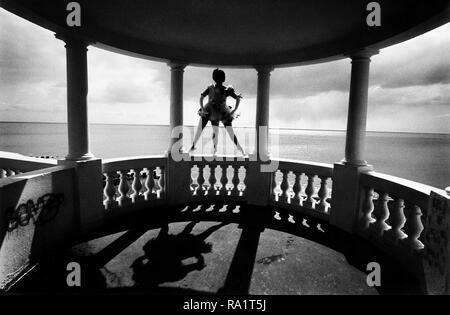 Actress and Dancer Jane Bassett in her famous role as Dame Anna Peglova the three legged ballerina. 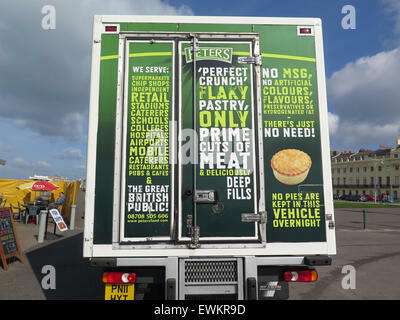 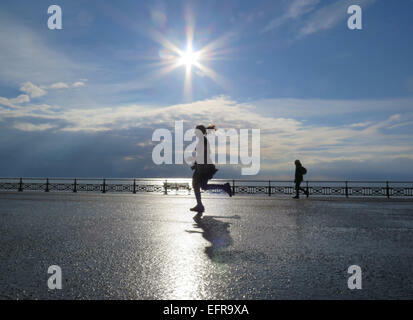 She is posing on the Colonnade in Bexhill, Sussex, England, opposite the De La Warr Pavillion. 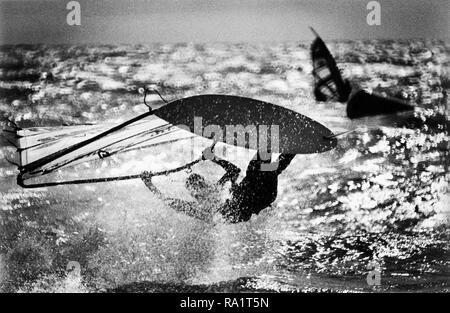 1994: Nik Baker, British Windsurfing Champion and the best windsurfer Britain has ever produced sails into trouble during a World Windsurfing Association event at Brighton. 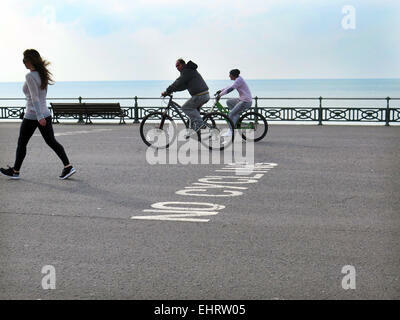 A TV crew at the 1970 Isle of Wight pop festival, filming hippies skinny dipping in Freshwater Bay for a news report. 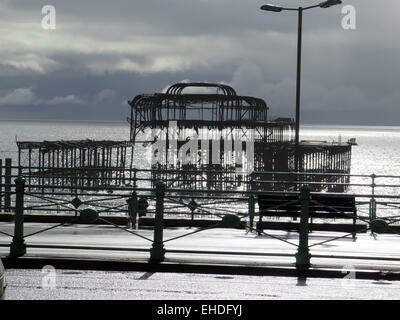 Hippy guards had ordered all members of the press wanting access to the bay to strip naked themselves before filming or photographing, which the bravest members of the media cheerfully did. 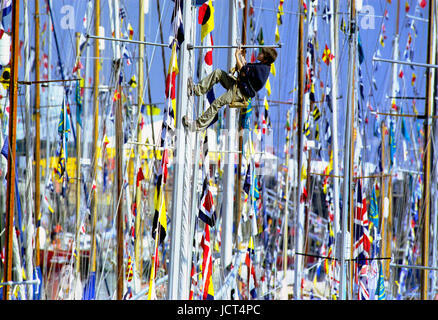 A boy sailor in a bosun's chair climbs a mast at the Festival of the Sea when 1000 sailing ships gathered in Portsmouth Naval Dockyard. 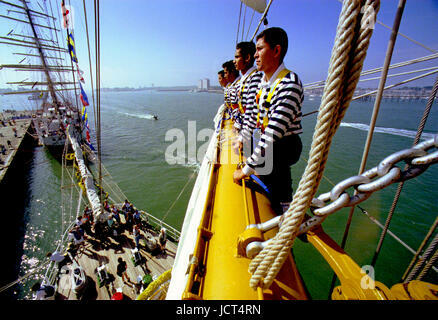 Mexican sailors taking part in the Festival of the Sea when 1,000 sailing ships gathered in Portsmouth Naval Dockyard. 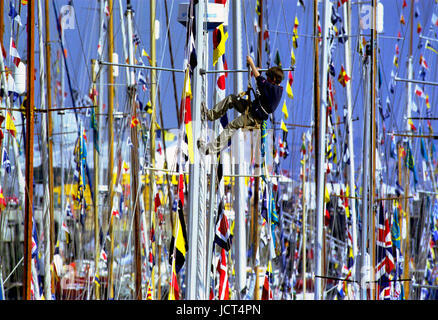 They are in the rigging high up. 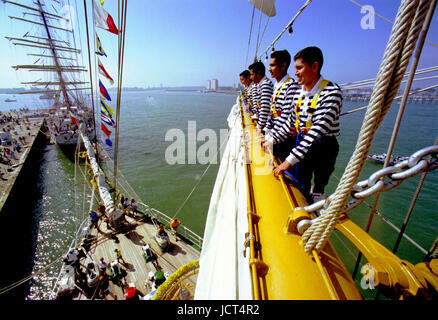 The International Festival of the Sea involving 1000 boats, was held Portsmouth Naval Dockyard in 2001. 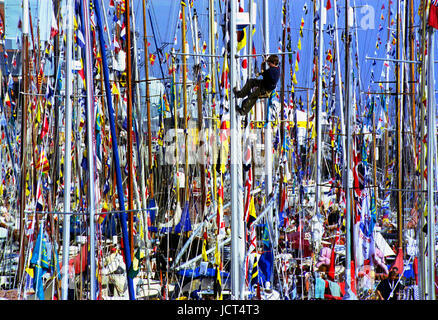 A boy in a bosun's chair climbs a mast. 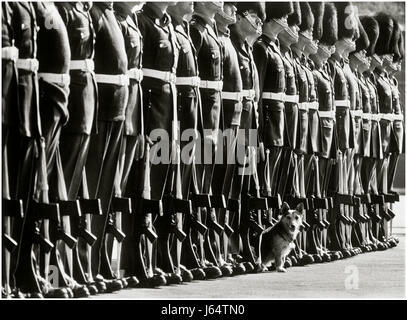 Farewell parade for Rats the Corgi-terrier mascot of the !st Battalion Welsh Guards, at Pirbright Barracks in 1980. 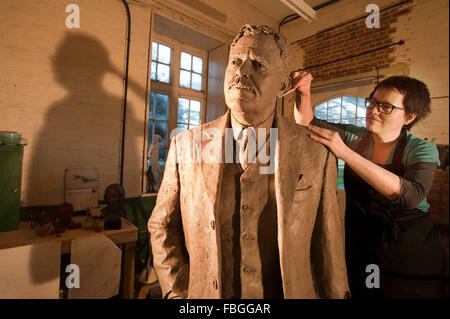 Rats served on several tours of duty in Northern Ireland during the 1970s and came under fire several times as he patrolled in Crossmaglen, He never left the patrols, even when he was shot at or when bombs exploded nearby. 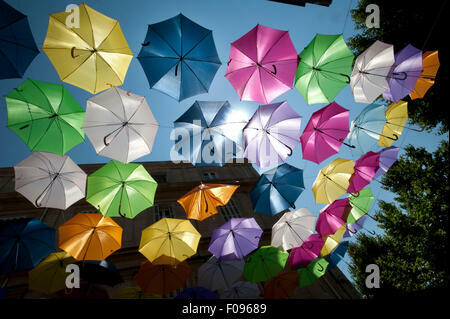 He was twice wounded by car bombs which left four pieces of metal in his body. 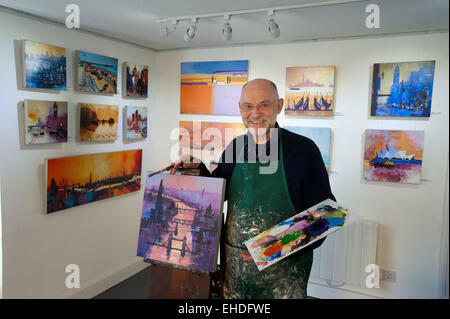 He served on helicopter patrols and in 1979 won a gold medal for his devotion to duty. 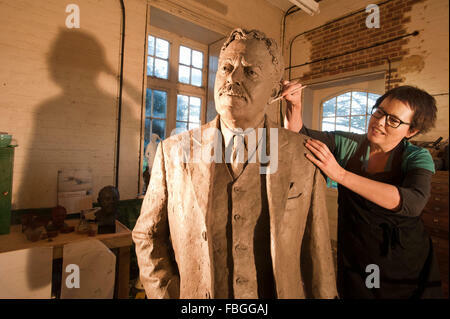 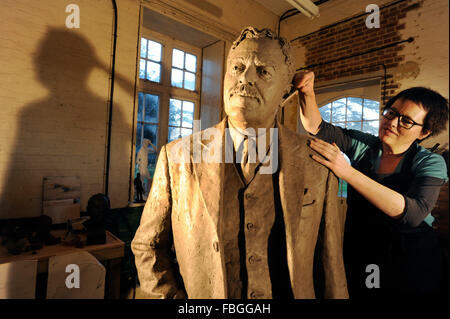 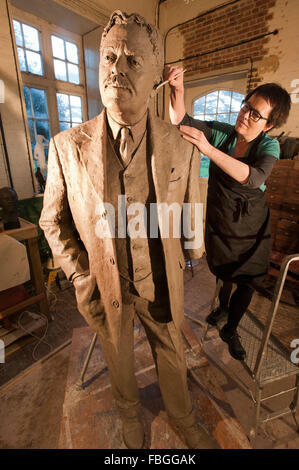 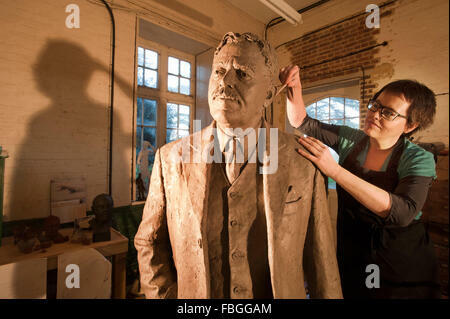 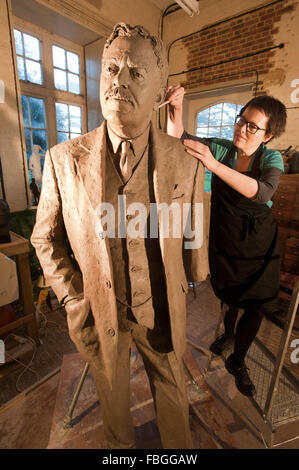 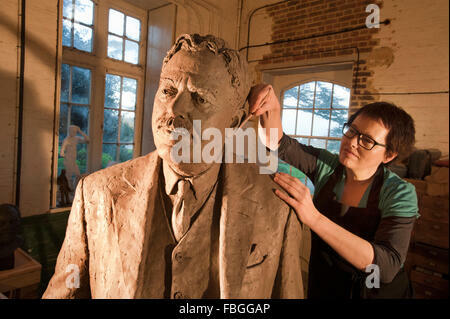 He was retired to England for health reasons. 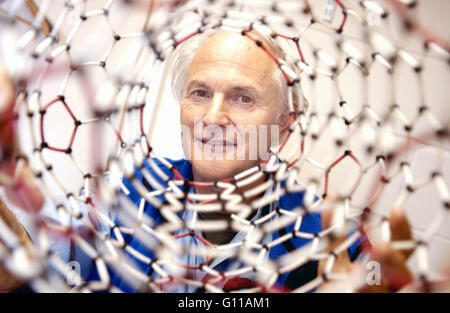 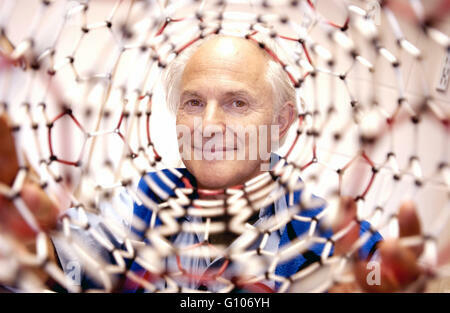 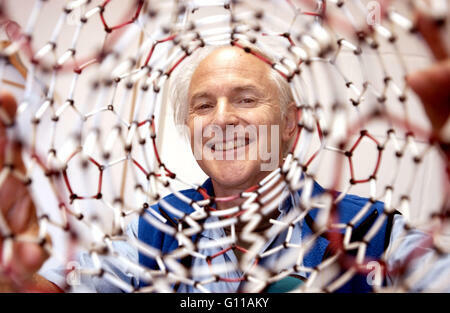 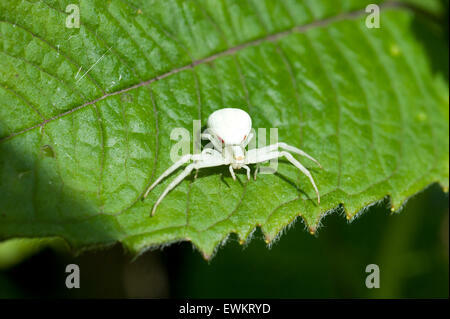 Sir Harry Kroto, Nobel Prizewinning Chemist, Sussex University, Brighton, Sussex, UK. 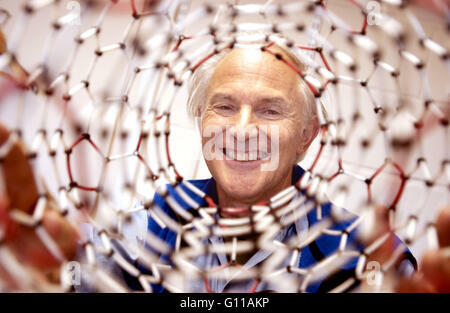 He died in April 2016. 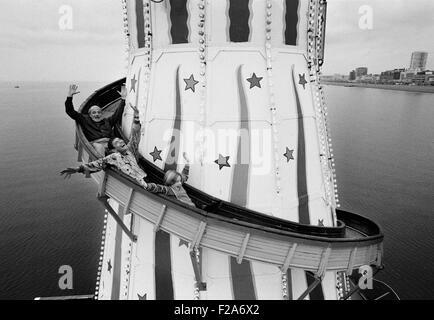 Brighton Artist Philip Dunn, Punch and Judy man Sgt Stone and a Brighton schoolgirl on the helter skelter ride on Brighton's Palace Pier in 1994. 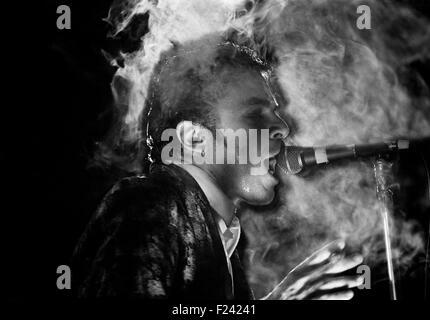 Punk rock star Ian Dury of Ian Dury and the Blockheads appearing at Brighton Centre 1979. 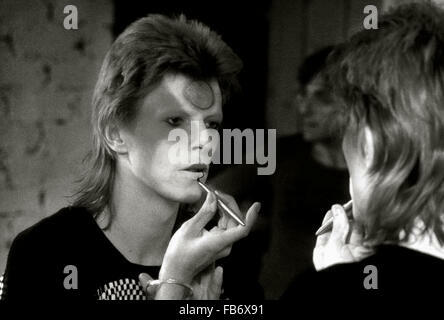 Singing and smoking a cigar. 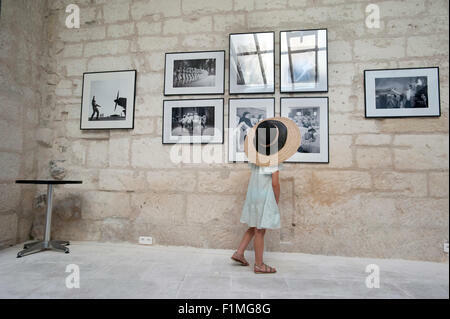 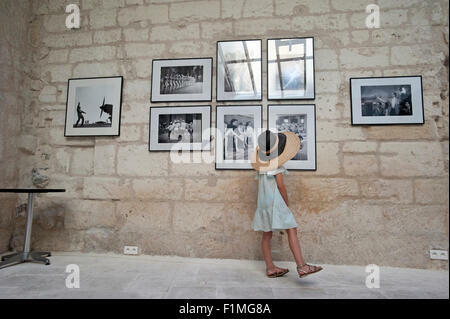 A small girl wearing two hats looks at vintage photographs in an art gallery in Arles, France. 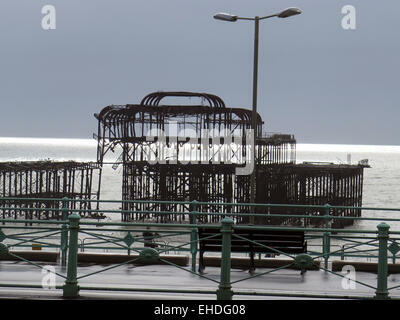 Graffiti tags sprayed on the plastic screen covering the famous Banksy 'Kissing Coppers' graffiti of two kissing gay policemen on the side of the Prince Albert pub near Brighton railway station. 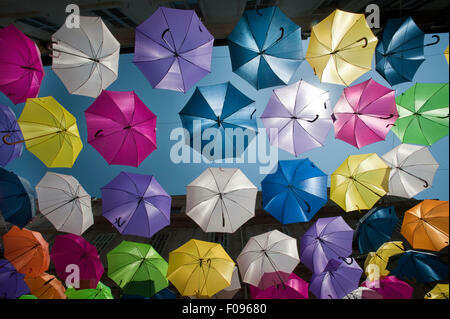 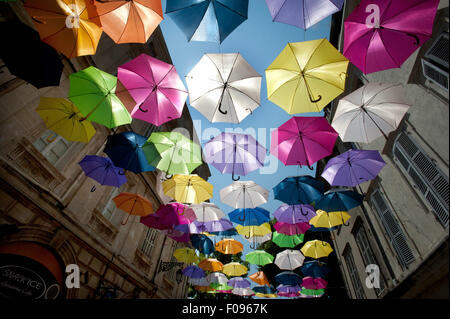 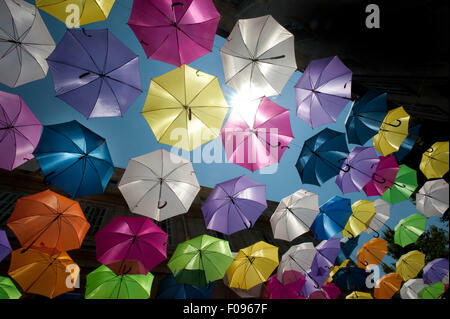 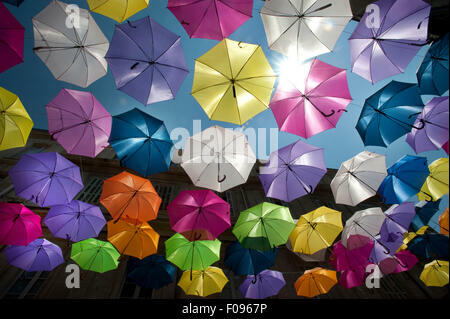 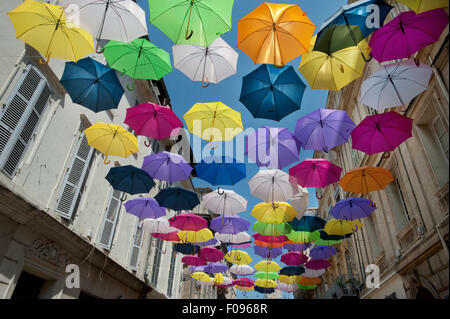 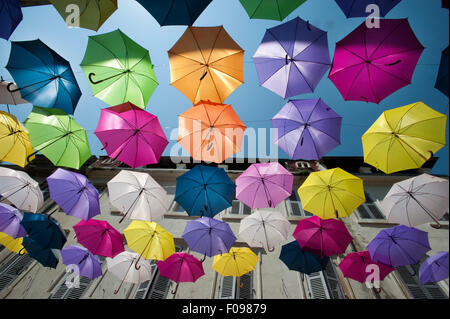 A sea of Brightly coloured floating umbrellas fill the sky above Rue Jean Jaures in Arles, Provence, South of France. 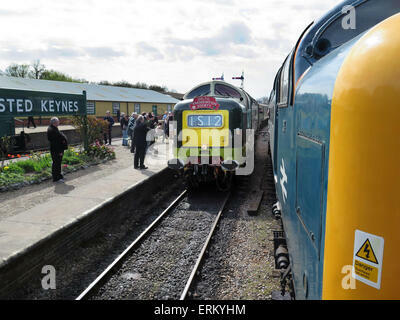 Preserved Deltic diesel D9019 'Royal Highland Fusilier' backs onto a 1898 built Great Northern Directors saloon at East Grinsted station on the preserved Bluebell Railway in Sussex for its return journey back to Sheffield Park. 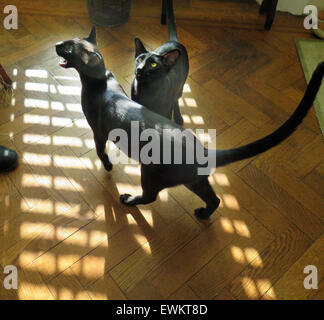 Black Oriental Siamese Kittens - one year old - on a sunny day on a parquet floor, meowing for food. 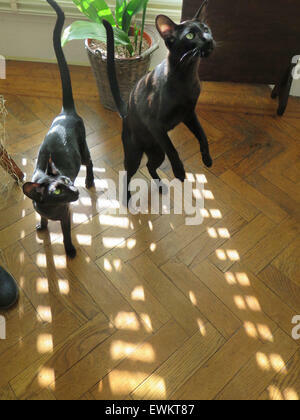 Black Oriental Siamese Kittens - one year old - on a sunny day on a parquet floor, standing on hind legs. 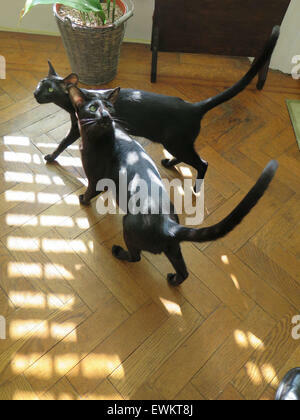 Black Oriental Siamese Kittens - one year old - on a sunny day on a parquet floor. The station porter at Horsted Keynes station on the preserved Bluebell Railway in Sussex hands the Single Line tablet to the crew of visiting preserved Deltic diesel locomotive D9009 'Alycidon' as it passes by another preserved Deltic diesel [preserved Deltic diesel locomotive] on its journey from Sheffield Park to East Grinsted. 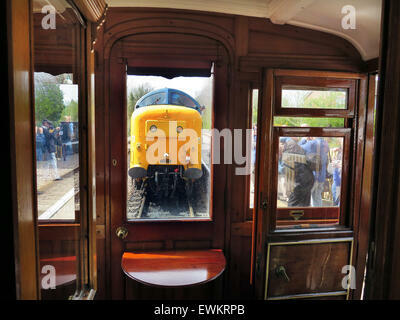 Preserved Deltic diesel D9019 'Royal Highland Fusilier' backs onto a 1898 built Great Northern Directors saloon car at East Grinstead station on the preserved Bluebell Railway in Sussex for its return journey back to Sheffield Park. 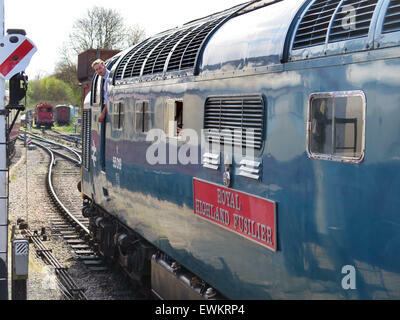 Preserved Deltic diesel D9019 'Royal Highland Fusilier' backs onto a 1898 built Great Northern Directors saloon at East Grinstead station on the preserved Bluebell Railway in Sussex for its return journey back to Sheffield Park. 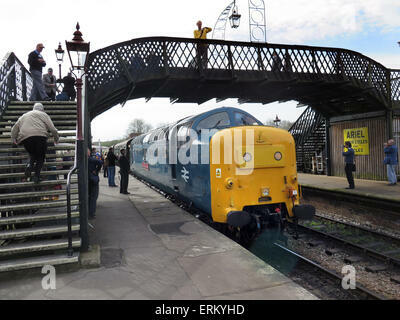 The station porter at Horsted Keynes station on the preserved Bluebell Railway in Sussex hands the Single Line tablet to the crew of visiting preserved Deltic diesel locomotive D9009 'Alycidon' as it passes by another preserved Deltic diesel D9019 'Royal Highland Fusilier' on its journey from Sheffield Park to East Grinstead. 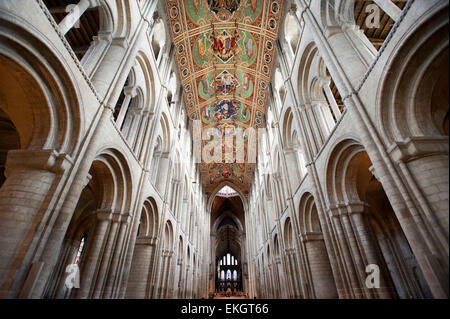 The Nave of Ely Cathedral, Cambridgeshire, built by the Normans in 1090. 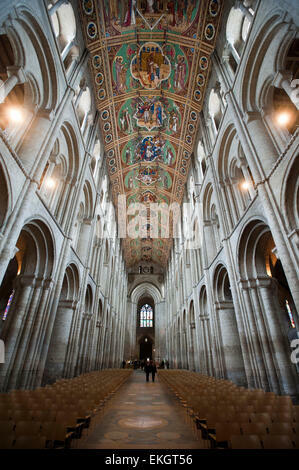 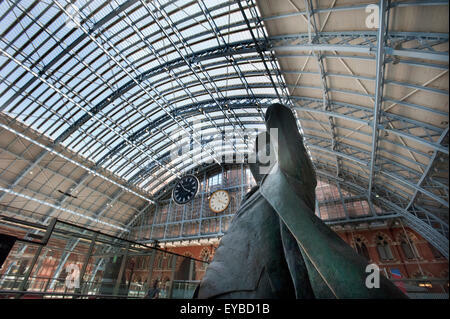 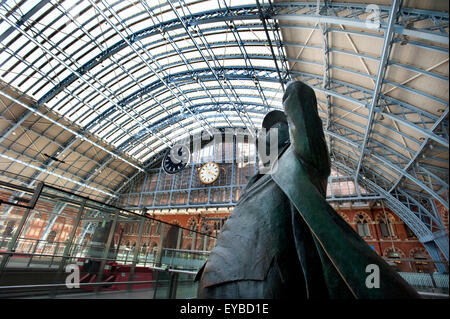 The nave is 2248ft. 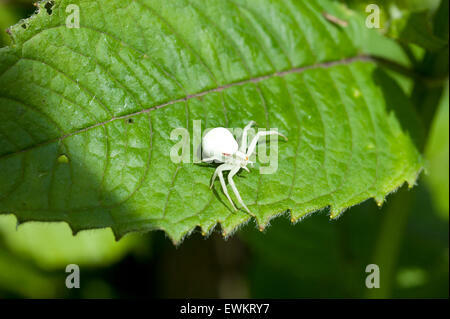 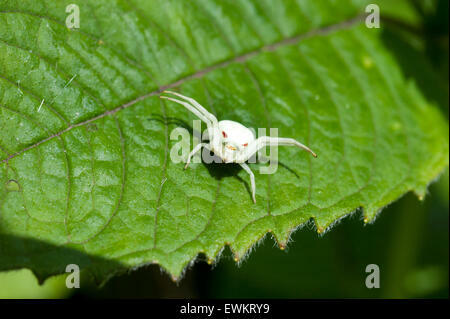 (76 metres) long. 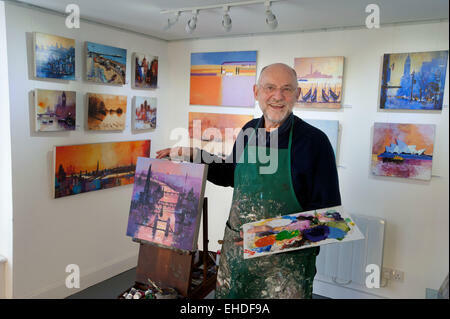 Picture by Roger Bamber : 21 February 2015 : Brighton Artist Colin Ruffell with an Acrylograph of a Painting of Tower Bridge and the River Thames in London plus other paintings on display during his one man show at 35 North, a Contemporary fine art gallery in Brighton. 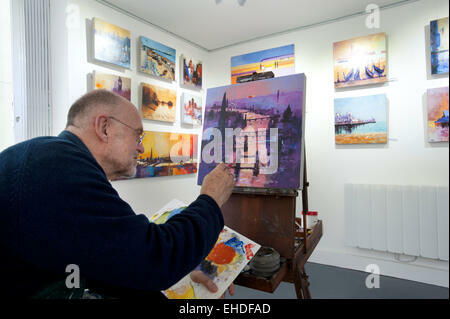 Picture by Roger Bamber : 21 February 2015 : Brighton Artist Colin Ruffell works on an Acrylograph of a Painting of Tower Bridge and the River Thames in London plus other paintings on display during his one man show at 35 North, a Contemporary fine art gallery in Brighton. 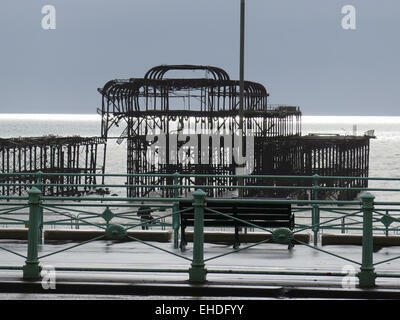 The Arson attacked ruin of the West Pier, Brighton designed by Eugenius Birch, seen across the promenade with decorative railings and benches to a glistening sea. 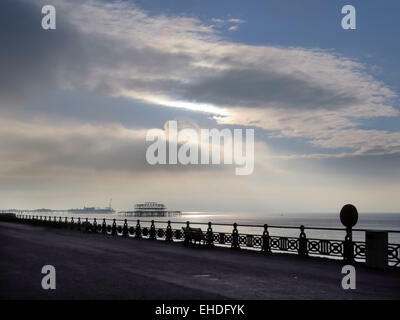 The Arson attacked ruin of the West Pier, Brighton designed by Eugenius Birch, seen across the promenade with decorative railings and benches to a glistening sea, and Cirrocumulus clouds. 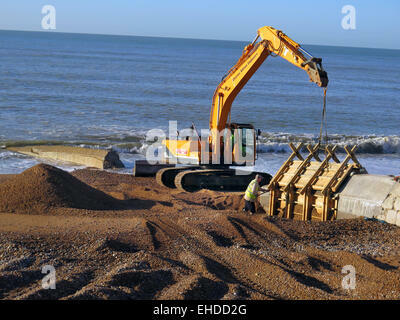 A Caterpillar Digger and Thorne Civil Engineering workers prepare to remove wooden moulding from new concrete Groynes being built on Hove beach, East Sussex. 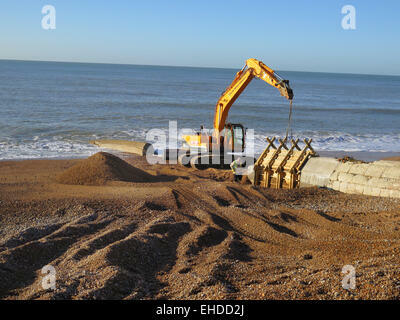 A Caterpillar Digger with Thorne Civil Engineering workers preparing to remove wooden moulding from new concrete Groynes being built on Hove beach, East Sussex. 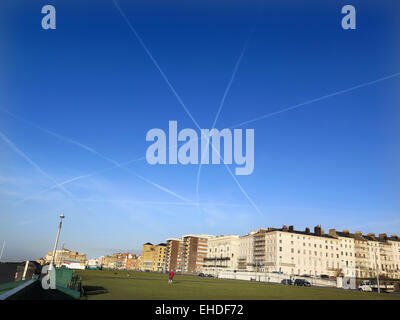 The vapour trails of three planes form a star shaped with their Contrails over Hove lawns on Brighton and Hove seafront. 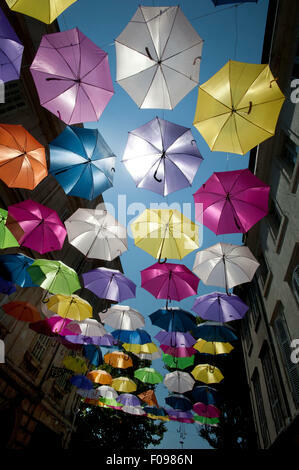 The planes were departing from Gatwick airport for Europe. 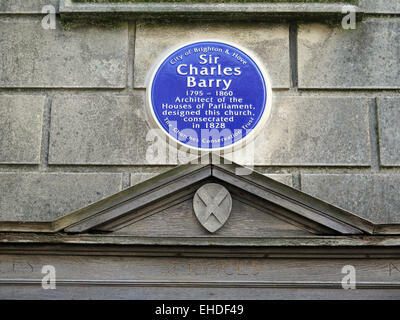 A Blue Plaque on the wall of St. Andrews Church in Waterloo Street, Brighton to commemorate the architect Sir Charles Barry, who designed the Houses of Parliment, and also designed this church in 1828. 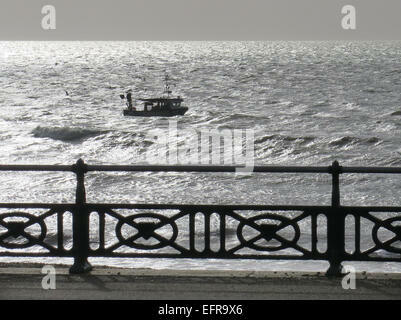 A fishing boat struggles against a westerly tide off Brighton in the early morning sunlight in the glistening sea. 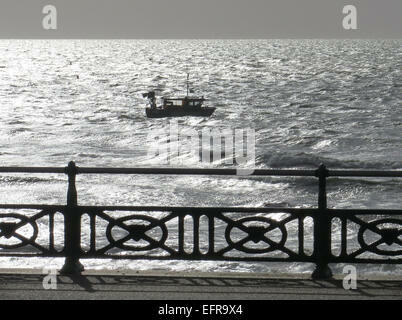 A fishing boat struggles against a westerly tide off Hove Lawns promenade in the early morning sunlight in the glistening sea. 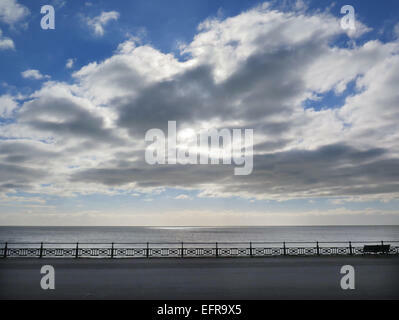 Cumulus clouds gather over the seafront on Hove Lawns promenade in the City of Brighton and Hove. 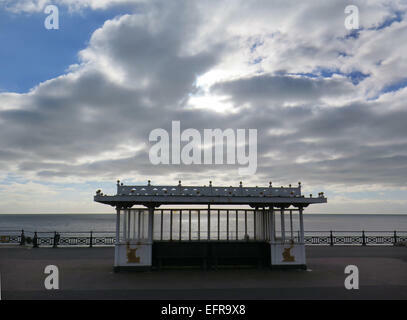 Cumulus clouds gather over a seafront shelter on Hove Lawns promenade, Brighton and Hove, East Sussex. 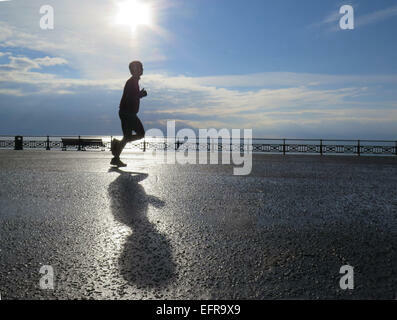 A male jogger runs along Hove Lawns promenade casting his shadow in the early morning sunlight beside the glistening sea. 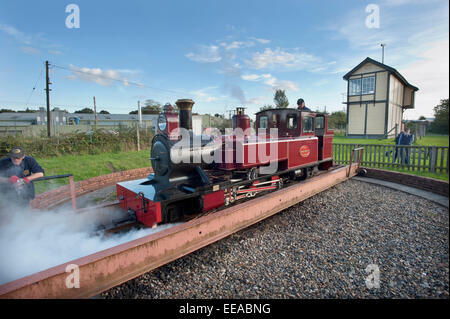 The driver and fireman use the Turntable at Wroxham station terminus to turn their 15-Inch narrow gauge steam locomotive 'Mark Timothy' before it runs round its train on The Bure Valley Railway to return to Aylsham on the 9 miles between Aylsham and Wroxham, near Norwich, Norfolk. Passengers watch as the driver uses his injectors to reverse his 15-Inch narrow gauge steam locomotive 'Mark Timothy' out of Aylsham Terminus station as it runs round its train on The Bure Valley Railway between Aylsham and Wroxham, near Norwich, Norfolk. 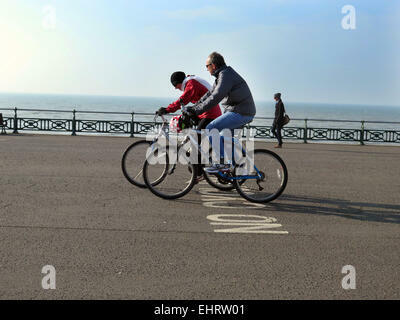 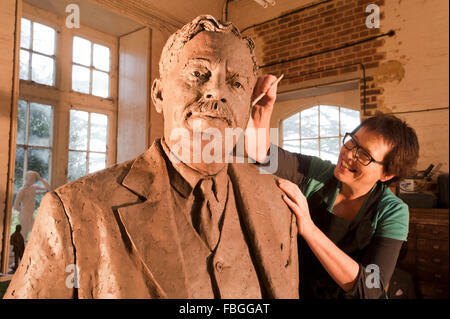 Picture by Roger Bamber :04 October 2014 :Thumbs Up ... 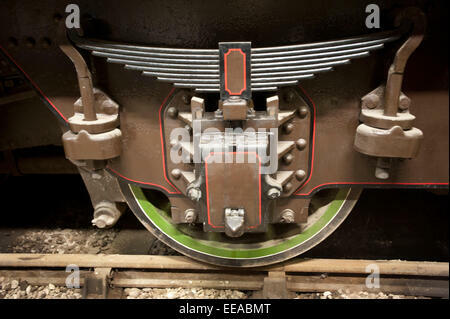 The trailing Bogie wheel and giant spring on Britains first Atlantic Steam Locomotive 4-4-2, The Great Northern Railway Ivatt's Class C2 No 990 'Henry Oakley' on display at Bressingham Steam Museum and Gardens at Diss, Norrfolk. 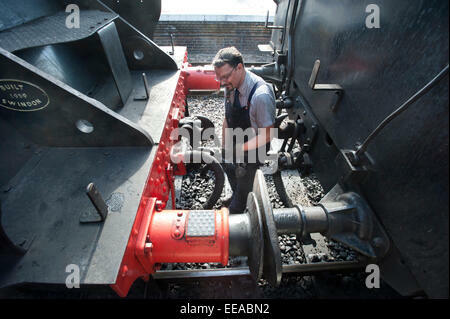 The engine was built at Doncaster in 1898. 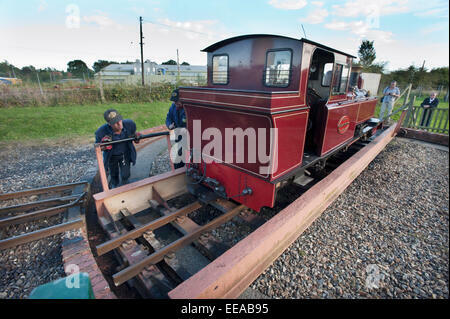 Picture by Roger Bamber : 05 October 2014 : The driver uses his injectors to move off the Turntable at Wroxham station terminus in his 15-Inch narrow gauge steam locomotive 'Mark Timothy' before it runs round its train on The Bure Valley Railway to return to Aylsham on the 9 miles between Aylsham and Wroxham, near Norwich, Norfolk. 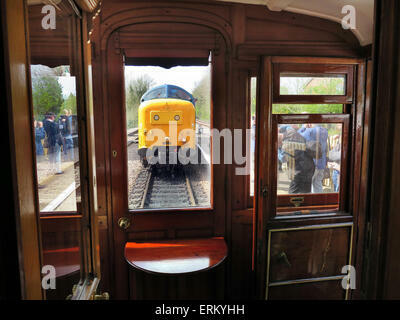 Behind is the giant Network Rail Wroxham main line Signalbox. 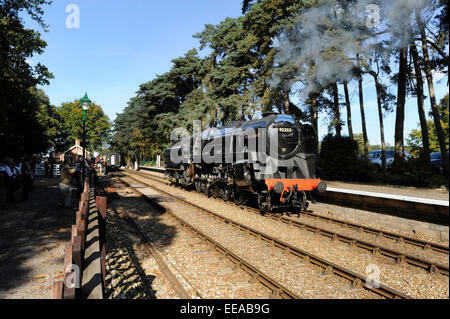 The driver of 9F 2-10-0 Steam Locomotive number 92203 'Black Prince' checks the road ahead as it runs round its train at Holt station on the North Norfolk Railway between Holt and Sheringham, near Norwich, Norfolk. 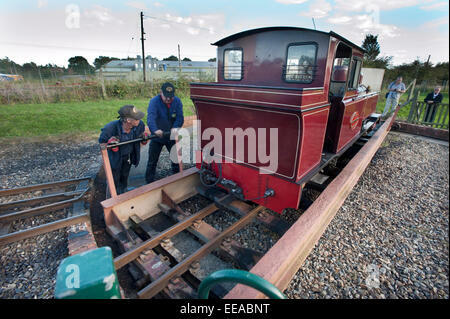 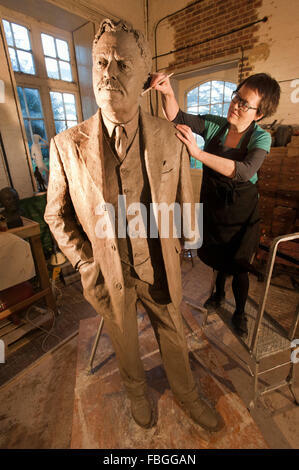 The famous Animal and Railway Artist David Shepherd restored this Steam Engine to working order. 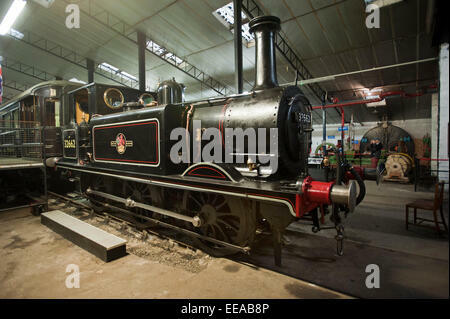 Inside Bressingham Steam Museum Exhibition Hall, a Brighton Terrier A1X 0-6-0 steam locomotive No. 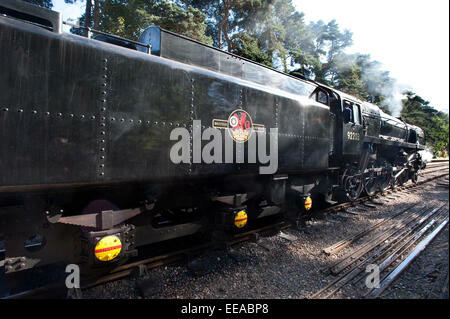 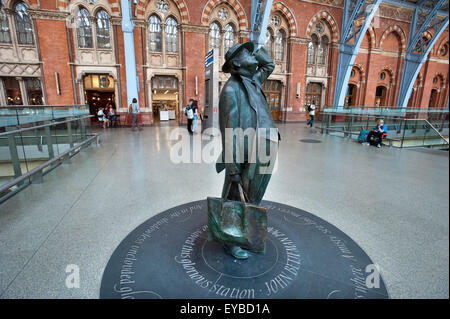 662 dating from 1875, originally named 'Martello' but denamed and renumbered 32662 by British Railways in 1948. 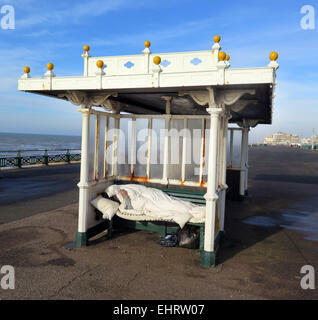 Once belonged to Butlins Holiday Camp in Ayr, Scotland. 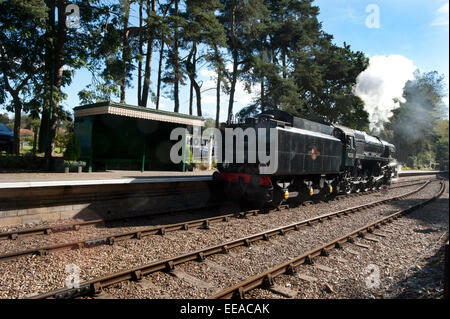 9F 2-10-0 Steam Locomotive number 92203 'Black Prince' at Holt station on the North Norfolk Railway between Holt and Sheringham, near Norwich, Norfolk.